Lunenburg is a port town in Lunenburg County Nova Scotia. Situated on the province's south shore, Lunenburg is located at the western side of Mahone Bay. 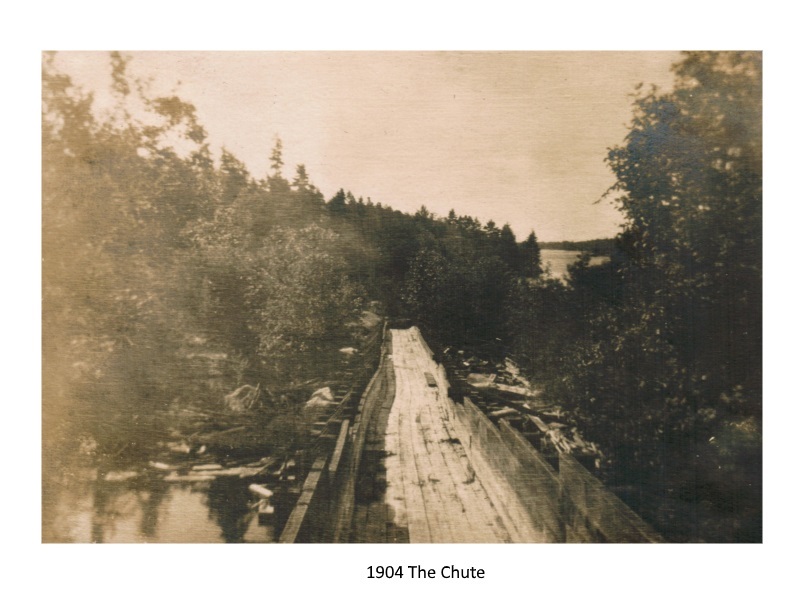 The town was established in 1753 by the three founding fathers, Patrick Sutherland, Dettlieb Christopher Jessen and John Creighton four years after the founding of Halifax. The town was one of the first British attempts to settle Protestants in Nova Scotia recruited from the German Palatinate, Swiss-German, and French Montbéliard regions of Europe and they were intended to displace Acadian Catholics. The historic town was designated a UNESCO world heritage site in 1995. This designation ensures protection for much of Lunenburg's unique architecture and civic design, being the best example of planned British colonial settlement in Canada. The historic core of the town is also a National Historic Site of Canada. During the Second World War, Lunenburg made a significant ship building contribution to the war effort. Over the same period the town hosted Camp Norway to train exiled Norwegian whalers for the Royal Norwegian Navy and accommodate Canadian sailors while their ships were being re-fitted. Lunenburg has two excellent harbours - one situated right along the towns downtown area. Lunenburg is still a working seaport and aside from scallop draggers and lobster fisherman it hosts many companies who specialize in historic boat building. There are always tall ships in the harbour or dry dock getting re-planked or re-rigged. It's a step back in time to see riggers scrambling around the spider web of stays and sails doing repairs. There is an excellent museum on the historic fishing industry and the town abounds in fresh seafood restaurants. Houses and businesses line the hill overlooking the harbour and almost all buildings have historical significance. 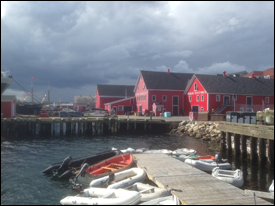 If you are a sailor or have seawater in your blood you can't help but fall in love with the historic charm of Lunenburg. The houses are all colourfully painted, the locals friendly, the shops bohemian and the local rum good and strong. You'd almost expect pirates to come walking down the street. There are a number of Government controlled wharves and you can anchor in the harbour or tie up to a mooring ball and dingy into designated dingy parking dock. Lunenburg has many visiting tall ships and some permanent tall ships that call it home port including the Bluenose II. The original Bluenose was launched as a Grand Banks fishing and racing schooner on 26 March 1921 in Lunenburg, Nova Scotia. It was designed by William Roué and built by the Smith and Rhuland Shipyard. Bluenose came to symbolize Nova Scotia's prominence in the fishing and shipbuilding industries. She represented Canada around the world. The original Bluenose struck a reef off Isle aux Vache, Haiti in 1946 and sunk. In 1963, the 181 foot Bluenose II was launched as a replica of the original. It was built by many of the same people who had worked on the original vessel at the same shipyard in Lunenburg. The project was financed by Oland Brewery to advertise their products, while also promoting Nova Scotia's maritime heritage and tourism. William Roué, the designer of the original Bluenose, endorsed the vessel. Captain Walters sailed on the maiden voyage. 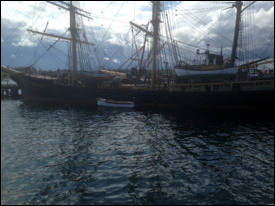 Bluenose II was gifted to the Government of Nova Scotia in 1971 and has recently undergone a complete refit. 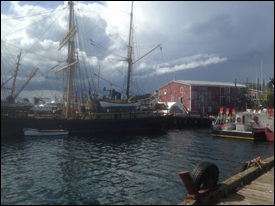 You can sail aboard the Bluenose daily (for a fee) or when it returns at days end you can walk the decks for free.